Hundreds of fans packed the Capital Ballroom at the Stephen F. Austin hotel for the Boy/Girl Meets World panel for the ATX Festival. 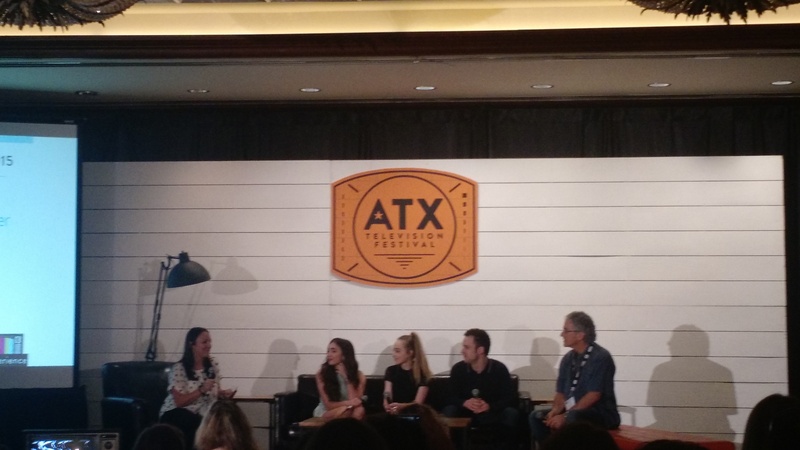 Series stars Rowan Blanchard, Sabrina Carpenter, Ben Savage and creator Michael Jacobs were on hand for the panel. The cast and crew delved into an array of topics including how the cast was formed (Rowan was Jacobs’ choice, “I had my girl, I needed Disney to know I had my girl”), how the two shows relate, and what fans can expect for the 26+ episode second season. The main topic of conversation was how Girl Meets World was a different show than Boy Meets World. Jacobs said that it is harder for children to grow up in today’s society with the way technology has advanced. He said at the core, the show revolves around, “How they (Riley and Maya) can succeed in this world is with friendship and growth.” Jacobs delved into how episodes are grown from that idea and that is why they have introduced us to the former series’ cast organically. We can expect three episodes of Lee Norris’s return as Stuart Minkus as well as finding out who Farkle’s mom is. Jacobs said it would be the last person you suspect, but she has appeared on the original show. Morgan will also return later this season, “but which one?” Jacobs teased. He wanted to have both the original Morgan (Lily Nicksay) and Morgan 2.0 (Lindsay Ridgeway) in the same episode with alternating camera shots, but it didn’t work out. Finally, Jacobs said that Angela (Trina McGee-Davis) and Shawn (Rider Strong) reunite in three weeks, and it’ll take fans to “watch it six times” before they will understand why Jacobs is ending their arc the way he is. Doesn’t sound like happily ever after.